There is a lot of backtracking to do to get to this moment. But, for now . 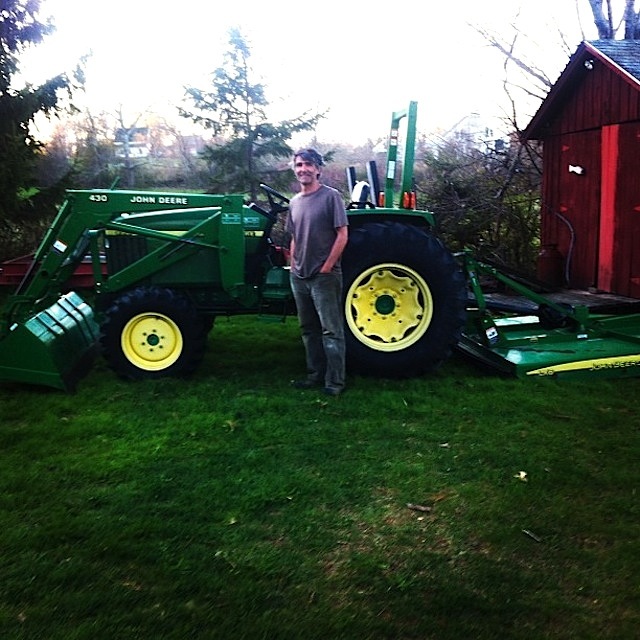 . . we are the proud owners of a used John Deere Tractor. Witness the smiling French man below!